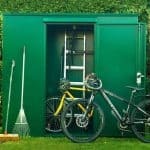 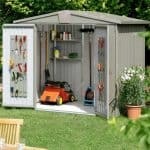 This 7.9 x 9.1 garden shed is crafted from strong durable steel. 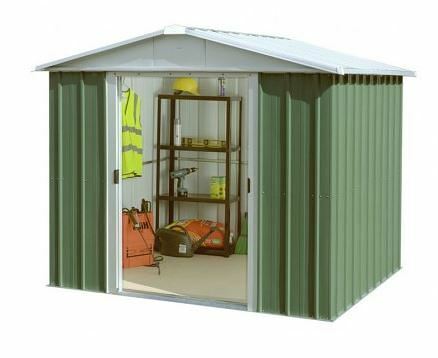 The steel is hot dipped and galvanised, so you have a building that is able to withstand rust very effectively. 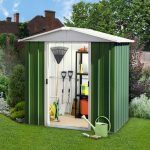 The apex roof provides more headroom and gives a more spacious feel, as well as helping on a practical level with taller garden equipment. 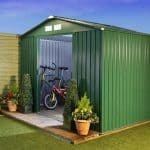 Sliding doors offer easy access to this large shed. 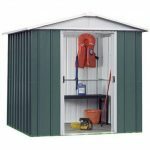 The shed also benefits from being completely rodent and rot proof. 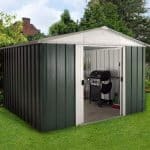 A 10 year anti-rust guarantee is included.